It’s time for Washington DC’s yearly St. Patrick’s Day bar crawl and this year’s is proving to be our most epic stroll yet. We’re even starting a day early – so prepare for a celebration that will make Ireland proud, DC. 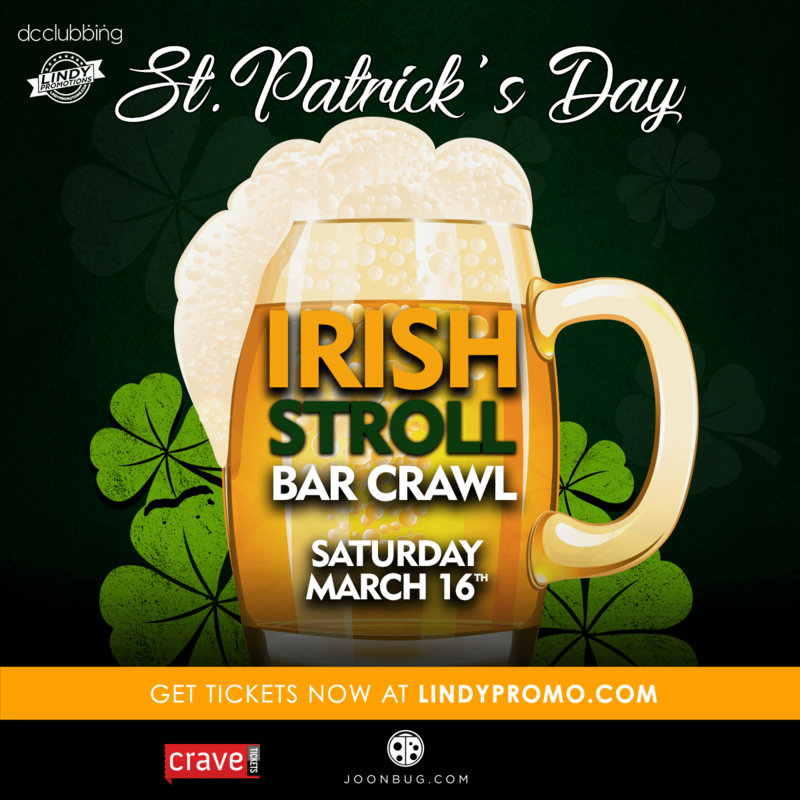 The legendary Irish Stroll will kick off on Saturday, March 16th, and your wristband grants you cover-free access to a multitude of Dupont Circle’s hottest bars offering one-night-only drink specials like $3 beers, $4 rail drinks, and $5 shots. If you’re looking to move, Decades is your spot. As DC’s “only mega retro club,” the energy level at Decades is always at a ten. With a décor that features crystal chandeliers, graffiti art, brick walls, and multi-color lights, Decades is an entertainment fortress. Keep the night going at Dirty Bar where golden light and a massive dance floor pave the way for a high-voltage celebration. Hungry? Rewind is your answer – a trendy retro diner that fills your belly and takes you back to the 50’s in one fell swoop, Rewind has quickly become a DC favorite. Our nation’s capital has some of the best nightlife destinations in the country, and we’re giving you free range to visit them all this St. Patrick’s Day weekend. As if that wasn’t enough, you’ll be enjoying free souvenirs to amp up the festivities. Feeling underdressed? We’ve got you covered with complimentary green beads to take your outfit up a notch. And fear not, our beloved St. Patty’s day Koozies are making a comeback this year. Grab a ticket, DC, there isn’t anything that guarantees you a luckier night than this wristband. **Start your night off at the designated registration location to receive your wristband, map, and other items between 1pm and 7pm and get crawling! **All sales are final. Tickets are non-refundable regardless of attendance. This is a rain or shine event.